The Mississippi Heart and Vascular Institute Vein Lab at St. Dominic’s Hospital is an ICAVL (Intersocietal Commission for Accreditation of Vascular Laboratories) certified laboratory under the medical direction of Dr. Seshadri Raju. 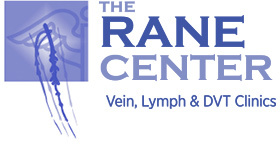 The Vein Lab is supported by a team of registered vascular technologists with special expertise in venous diagnostic techniques. The MHVI Vein Laboratory is one of the few in the United States that specializes in comprehensive functional testing of Chronic Venous Disease (CVD). Many of the techniques, now used by others were first described by Dr. Raju. The investigations include non-invasive studies as well as minimally invasive pressure measurements to assess the presence and severity of venous valve reflux and outflow obstruction. The MHVI Vein Lab performs specialized investigations for deep vein thrombosis. The ICAVL require investigations of the venous system for DVT that should not be limited to the femoro-popliteal (groin to knee) veins, but should also include the calf veins and the iliac venous outflow, which are not routinely evaluated in non-accredited laboratories. Studies have shown that DVT resulting in life-threatening pulmonary embolisms often originate in iliac veins; undetected calf vein thrombosis often results in significant sequelae if left untreated. The MHVI Vein Lab is devoted to providing excellent physician relations as well as quality patient care. To refer a patient to the MHVI Vein Lab, call 601-200-2765.